Window graphics are a great way to enhance a glazed area of any property, on the high street and retail industry they can prove a useful marketing tool as they appear at eye-level as apposed to the sign which maybe above head height. A window pane provides a large canvass to maximise exposure of your message and remains quick & simple to update on a regular basis or remain as a permanent graphic. Office locations with internal glazing use the graphic to enhance a workspace, whilst the industrial and public industries may simply use the humble window decal to ‘block out’ areas they do not wished to be looked into, large open space office buildings can really benefit from intelligent window graphic design development. A common fashion at the moment is to ‘blank out’ empty shop windows whilst the shop is empty to make the High Street look more attractive. This could either be piece of artwork/photographic image or details of the shop unit available. Popular for such as ‘coming soon’ messages whilst work is carried out inside. Recent projects have seen us re-producing artist work into digital format and outputting to vinyl roll media and applying to otherwise bland and ugly empty retail units in prominent town centre locations. The use of window advertisement space/graphic is essential in some instances as it maybe the only place suitable to provide information/branding of the company. 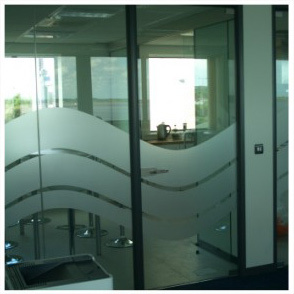 There is no planning restrictions on window decals like there is with a sign, and we offer a number of different material finishes to provide the suitable style of your requirements.